The new Republican-controlled House voted Wednesday 245-189 to repeal the historic health care overhaul legislation signed last March by President Obama, but the measure appears destined to prove largely symbolic. Top Democrats in the Senate, including Majority Leader Harry Reid, who characterized the House action as "partisan grandstanding," say they will block efforts to take up the bill. And Obama, while signaling a willingness to work on aspects of the sweeping bill where compromise may be possible, has pledged to veto any effort to repeal the centerpiece of his domestic agenda. Republicans lack the votes in the Senate to override a presidential veto. But the up-or-down repeal vote fulfills a campaign promise many Republican candidates made last fall, and sets into motion a larger GOP strategy to use the power levers they control to chip away at aspects of the bill over the next two years. During repeal debate that began Tuesday, and wound down late Wednesday afternoon, Republican Rep. Greg Walden of Oregon said that his party will come up with a "replacement bill." Other House GOP leaders on the issue, including Rep. Steve King of Iowa, say the party will also use its muscle in the appropriations process to pull funding that would implement aspects of the bill, including enforcing the legislation's requirement that citizens have private or employer-provided health insurance. Republican leaders say they don't have a deadline for producing new health care legislation -- the "replace" part of their campaign promise of "repeal and replace." But four House committees will be charged tomorrow with coming up with proposed changes to the existing bill. And more than two dozen states have joined a Florida lawsuit challenging the constitutionality of the health care law. The seven hours of floor debate struck a largely respectful tone, with one glaring detour: Democratic Rep. Steve Cohen of Tennessee late Tuesday compared Republican arguments to Nazi propaganda and "blood libel." The term was recently invoked, to much criticism, by former GOP vice presidential candidate Sarah Palin in a statement critical of the media's coverage of her in the wake of the recent shootings in Arizona that critically injured Rep. Gabrielle Giffords (D-AZ) and killed six people. 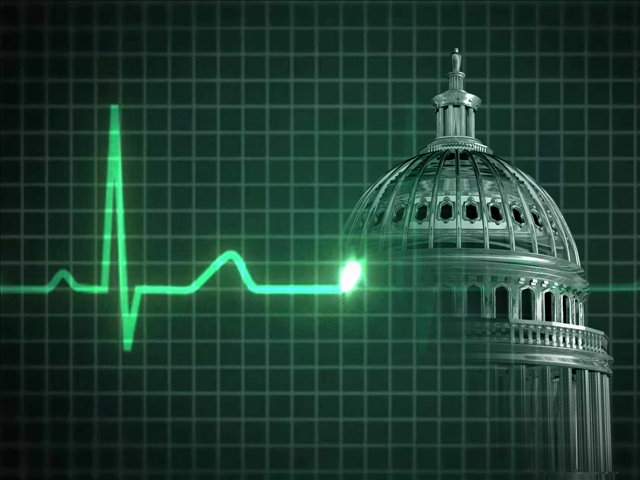 The health care measure, a hot-button political issue for more than 18 months and the first bill considered under House Republican control in the new Congress, is officially titled the "Repealing the Job-Killing Health Care Law Act." Before the Tucson massacre, the impending repeal debate appeared likely to be stridently partisan -- a replay, perhaps, of last year's debate, when terms like "death panels" were casually employed. But, as was the case Tuesday when the bill came to the floor, the language remained - with an exception or two - largely focused on well-worn talking points Wednesday. House Speaker John Boehner, noting that Obama has indicated that the health care bill needs work, said: "If we agree that this law needs improving, why would we keep it on the books?" Obama in a statement this week said that while "we can't go backward," he is "willing and eager" to work with members of both parties to "improve the Affordable Care Act." Democratic House Leader Nancy Pelosi, who was House Speaker when the bill passed, defended popular aspects of the bill that have already gone into effect, including barring insurance companies from denying coverage to people with pre-existing conditions, to allowing adult children up to age 26 to remain on their parents' policies. "Repeal would be devastating to so many Americans," Pelosi said. House Republicans have already indicated that they are unlikely to strip the pre-existing condition rule from any plan going forward. But they also warned opponents not to underestimate their determination or their willingness to use parliamentary maneuvers to deny the Obama administration funds needed to carry out the law. "Repeal doesn't mean we aren't for health care reform, quite the contrary," said Rep. Phil Roe (R-TN), an obstetrician-gynecologist. "This bill does increase the number of people who are insured. But it does nothing to decrease the costs." That, he predicted, will make Obama's expansion of coverage unsustainable. Many Democrats were defiant during the debate. "We are not interested in taking down, repealing and destroying," said Rep. Xavier Becerra (D-CA). They also held an informal hearing Tuesday featuring actual people who are benefiting from some of the parts of the law that have already taken effect. Republicans are "re-litigating, regurgitating and re-arguing" a debate that was settled last year, said Rep. Rob Andrews (D-NJ). Repeal is "the wrong bill at the wrong time," he added. Republicans argued that the law gives the federal government too much power, particularly the requirement that nearly every American either have health insurance or else pay a penalty. "If this law is constitutional, if Congress has such broad power, our limited federal government will have become limitless," said Michigan freshman Republican Rep. Justin Amash. The House is scheduled to vote Thursday to instruct several major committees to draft health care legislation that reflects Republican priorities, including limits on medical malpractice awards and stricter language barring taxpayer funding for abortions. But an earlier GOP bill that offered a competing vision to the Democrats' only covered a fraction of the people reached by Obama's law. No matter, Republicans say. A modest, step-by-step approach may turn out to be more sustainable in the long run than a major new government program whose costs and consequences are still unclear. The fate of the repeal-and-replace effort hinges on the quality of the replacement legislation and the care that Republicans put into drafting it, said Rep. Chris Gibson (R-NY), a freshman. If it meets the needs and concerns of the public, Gibson said, he believes Democrats in the Senate may be persuaded to give it serious consideration. Easier said than done, Democrats say. For example, Republicans say they also want to help people with pre-existing medical conditions find affordable coverage. But many experts say that won't be possible unless there is some kind of requirement that healthy people get into the insurance pool as well, thereby helping to keep premiums down. "They're going to have to deal with that," said Maryland Rep. Steny Hoyer, the No. 2 Democrat. But while the legislative battle is likely to end in a draw, at least for now, the battle for public opinion rages on. A new CNN poll provides more ammunition for both sides. For Republicans, it finds that half of those polled think the law should be repealed. But Democrats will take heart in the fact that nearly 80 percent of Americans favor at least some aspect of the health law.